Cart Dr. specializes in used golf carts in Mobile AL and has many different styles to choose from when looking to rent a golf cart. 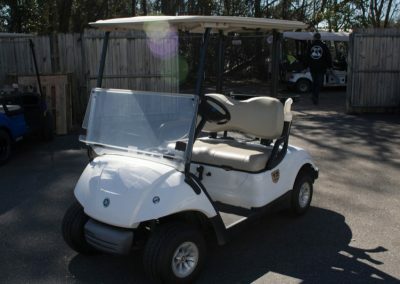 We provide not only different brands to choose from for golf cart rentals but also different golf cart rental seat-sizes. 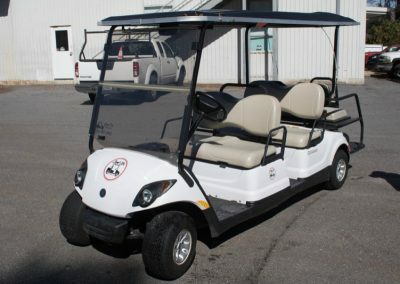 We offer 2-seat golf cart rentals, 4-seat and 6-seat golf cart rentals. 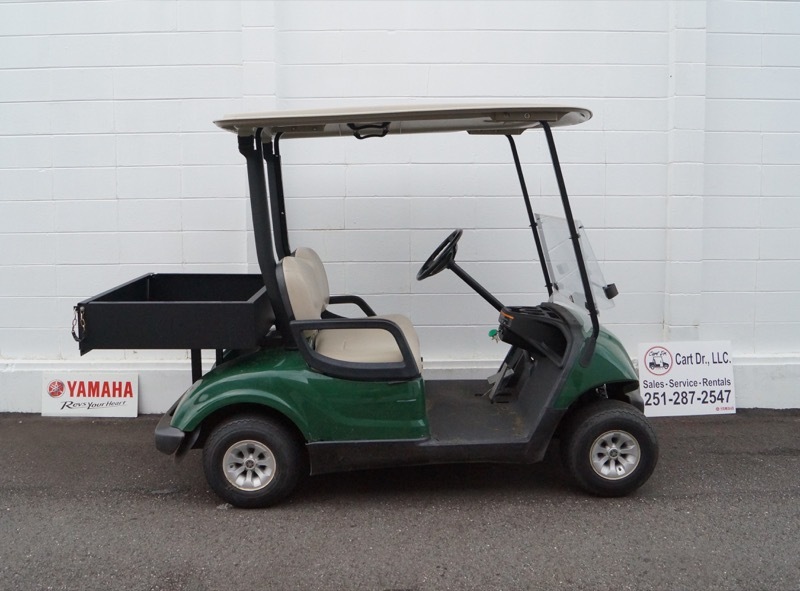 So, if you need a golf cart rental for festivals, block parties, holiday events, weddings, Mardi Gras, corporate transportation or just for fun, Cart Dr. is here for you. 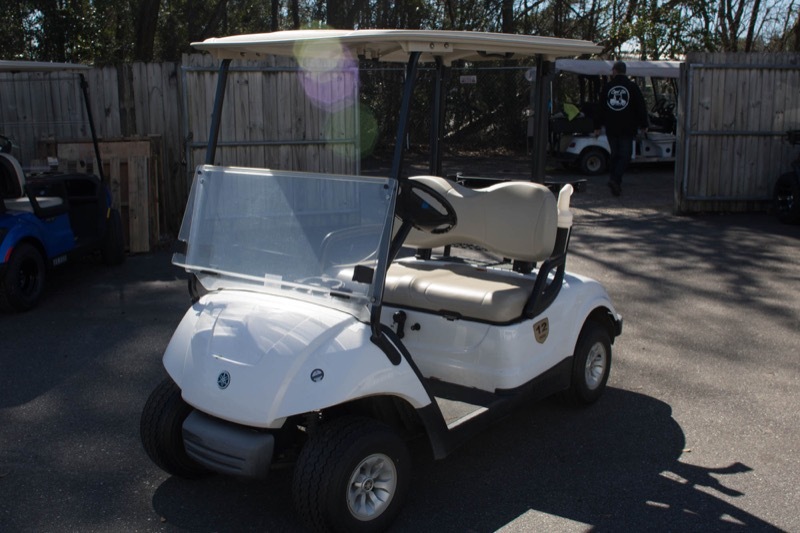 Throughout the year we run specials on our golf cart rental rates. 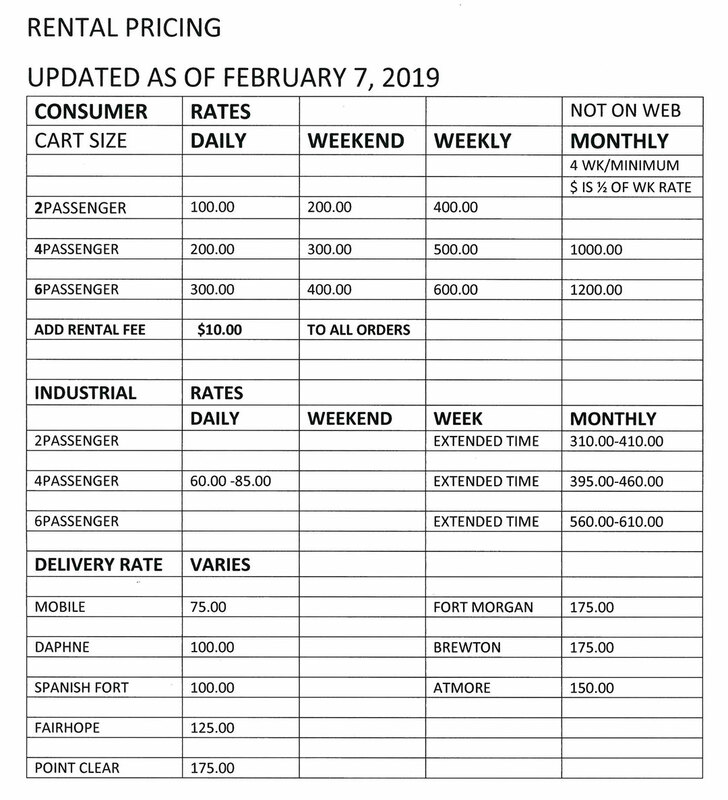 Please do not hesitate to ask us about our weekend rental rates and corporate rental rates, to see what we can do for you! 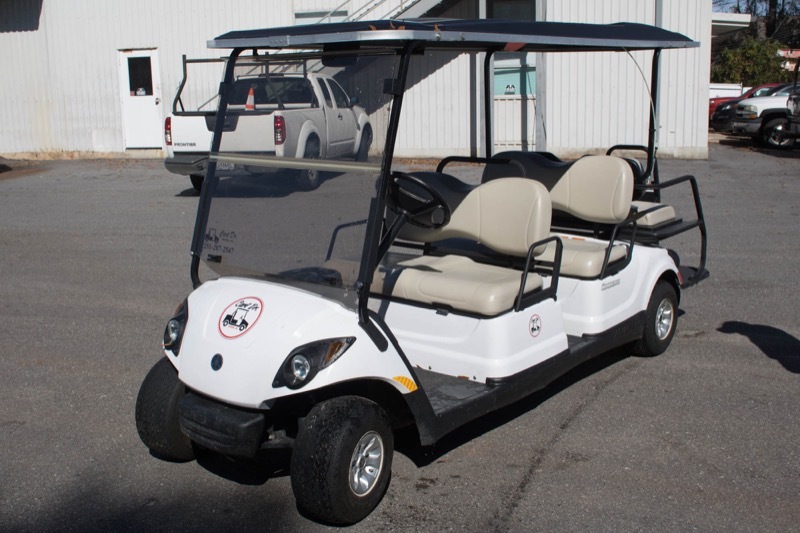 All customers must have a current driver’s license and proof of insurance. 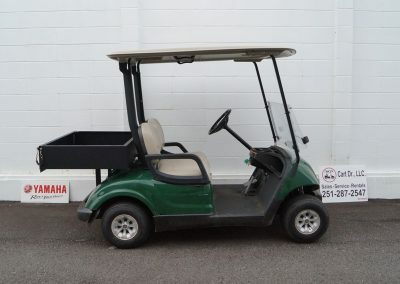 A one time delivery fee of $75.00, $100.00, or $150.00 will be charged for customers who choose not to pick up carts themselves. Corporate rates and specials are available. 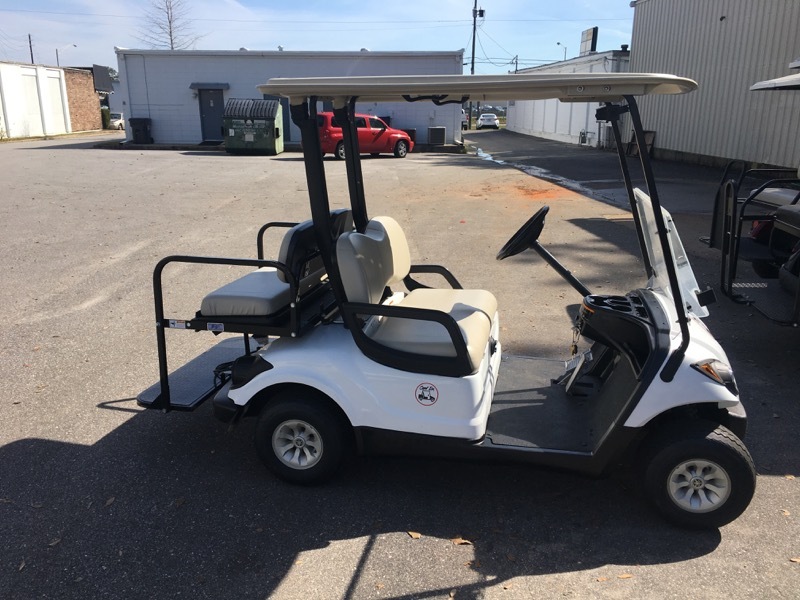 Contact our office for details.